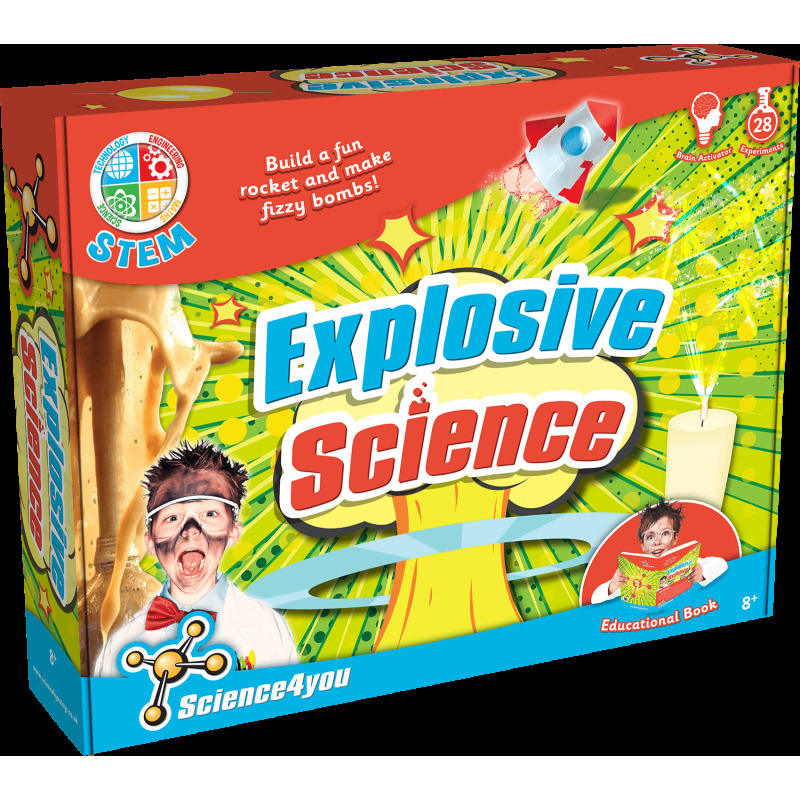 Explosions, rockets, chemical reactions and much more. Pierce a baloon without it popping and discover a fantastic color explosion! 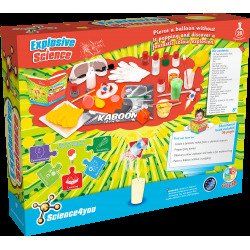 The Explosive Science kit contains lots of really funny experiments while you will enjoy learning all about science! 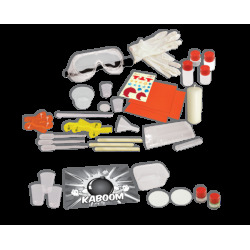 Become a real scientist with the Explosive Science Kit! How to make a fantastic rocket from a chemical reaction. How to make fizzy bombs. How to make a fun explosive bag. How to create a colour explosion or make a mini rocket. How to pierce a balloon without popping. 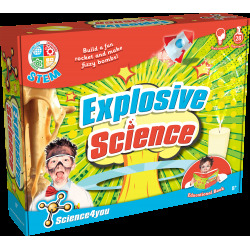 This toy also includes up to 28 experiments for kids as well as an educational book with 36 pages.